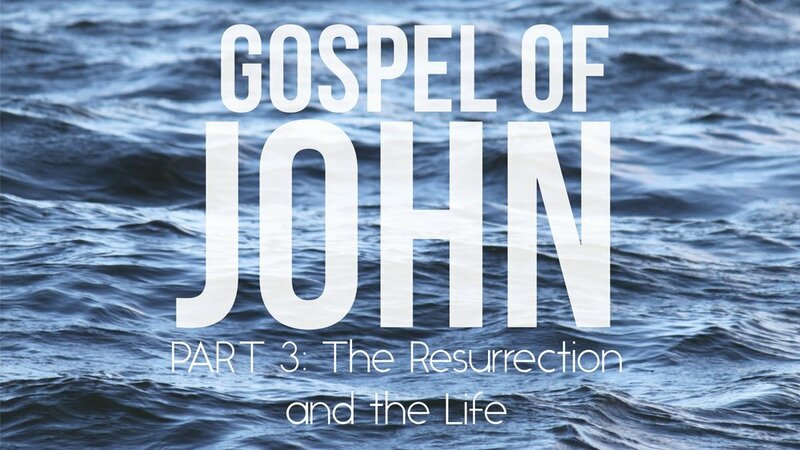 This past Sunday, I preached the last message in a long journey through the Gospel of John. It all began in September 2016 and finished up in November 2017. Though we did take breaks at times for other various series, it’s safe to say that the Gospel of John has consumed my life for the past year and a half. From writing three companion bible studies for church members, creating community group material to drive discussions in homes, writing questions for discipleship groups to discuss weekly, or engaging in weekly sermon prep, I have become quite proficient in all things Gospel of John. As I sit here on the Monday following this epic journey, I can’t help but reflect on all that the Lord has taught me over the past year and a half. Allow me to share three big things that stood out to me during my studies. Jesus is not looking for lip service from his followers. Saying, “I love Jesus,” is extremely easy but living that out daily takes intentional effort. For example, Jesus and God’s word is not important to you if you don’t spend time in the word. You can say that both things are important, but do your actions support your claims? Take Jesus’ example in John 6. Jesus’ popularity was very high during his public ministry and the crowds that followed him grew daily. However, Jesus was quick to weed out those who were paying him “lip service” from those who truly loved him and desired to make him Lord of their life. Jesus never chased after those who had no desire to be there. Too much of my ministry has been spent on trying to convince “church people” why they need to make Jesus a big deal in their lives. Now please don’t hear what I’m not saying. I’m not saying that I regret walking alongside of people as they grew in Christ and learned what it meant to put Jesus first. What I am saying is, I have spent way too much energy and time on trying to convince “church people” of the importance of Christ when there is obviously no desire in their life. To continue Jesus’ example in John 6, when the crowds left Jesus, I never read about him fretting or losing sleep over the ones who said they loved him but had no desire to follow him. Instead, he focused his attention on two sets of people: (1) those who had a true desire to follow him and (2) those who needed to hear the gospel. Jesus’ patience with people is something to be mimicked. Even though Jesus allowed countless numbers of people to walk away from him without chasing them down, he did painstakingly walk with his disciples through their growing pains. He may have been frustrated at times and wished that they caught on a little more quickly, but he never gave up on them. He took the opportunity to love them, teach them, and show them what it meant to be a disciple. May my own desire to see people grow in Christ lead me to reflect Jesus’ patience in my own life. There it is! One and a half years summed up in three-points. Though there are other points that I could have written about, these three stood out as the most impactful for me as a disciple of Christ and as a pastor of a local church. In closing, please allow me this one last challenge from the Gospel of John. Do you have an earnest desire to grow in Christ, or are you happy with a stagnant life? I know that there will be mess-ups and mistakes made along the way, but what a comfort it is to know that Jesus’ patience is great and that he will be walking alongside of you every step of the way. May these closing words serve as a source of encouragement, and perhaps, a challenge to those that needed it.